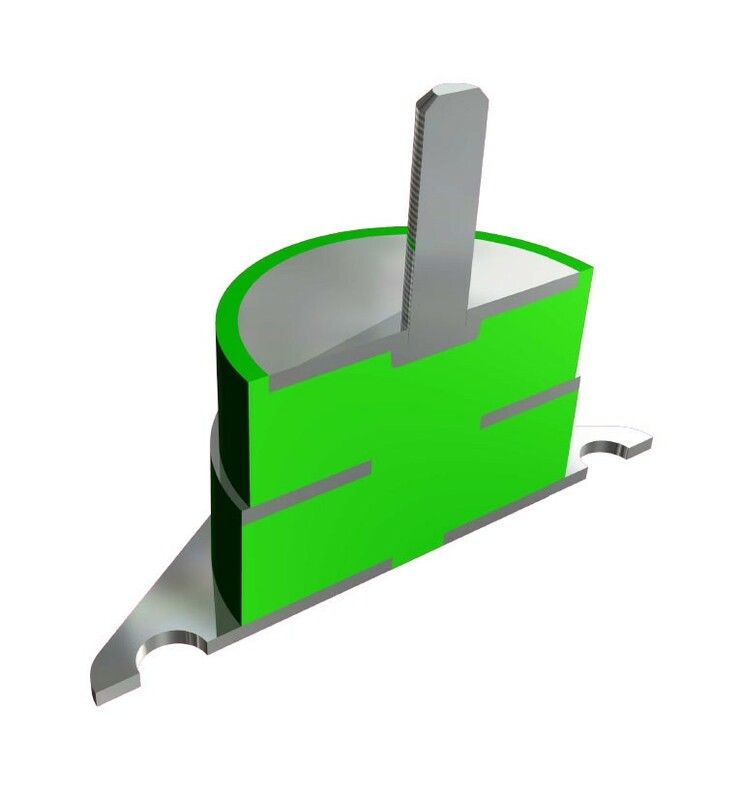 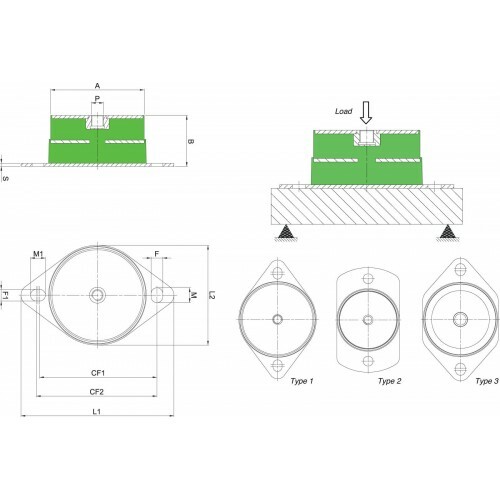 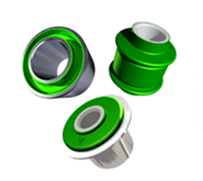 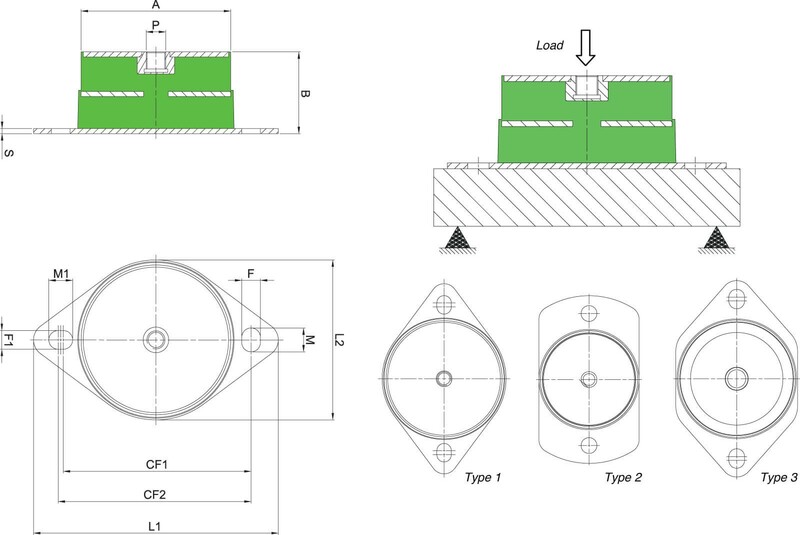 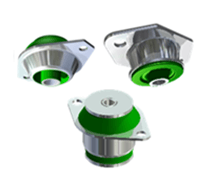 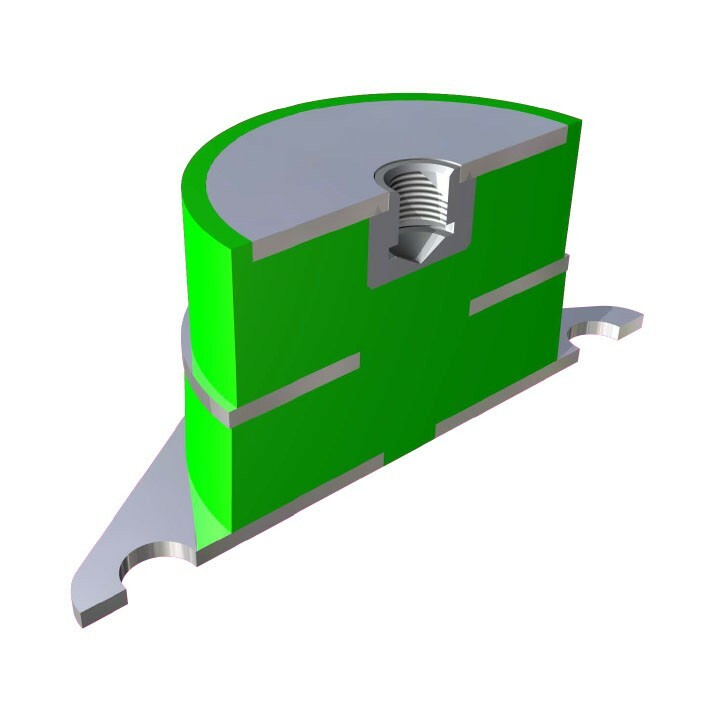 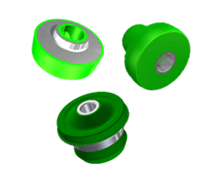 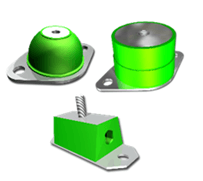 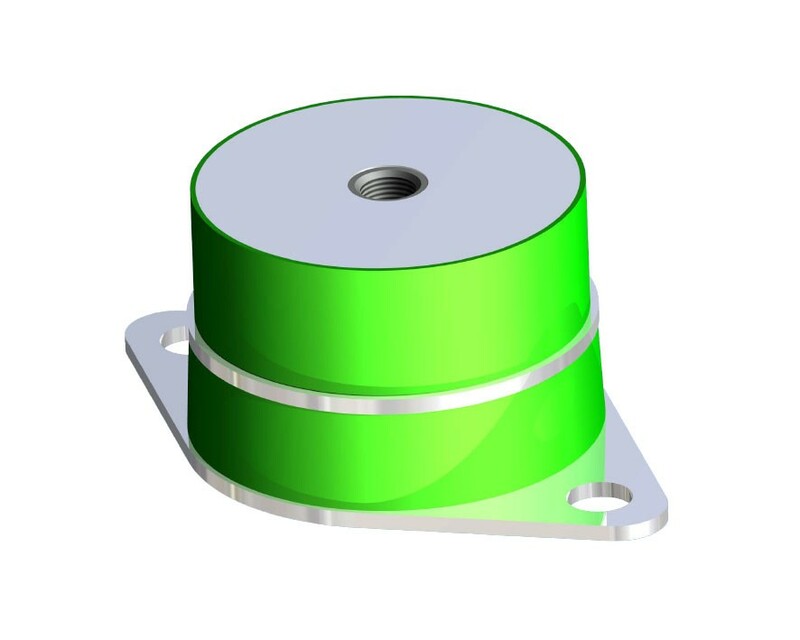 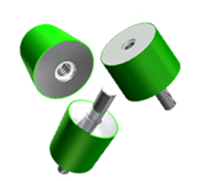 The VBLR/DBLR mounts are an evolution of the VBL/DBL range and are designed with a metal insert within the elastomeric part. 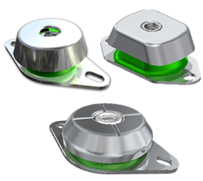 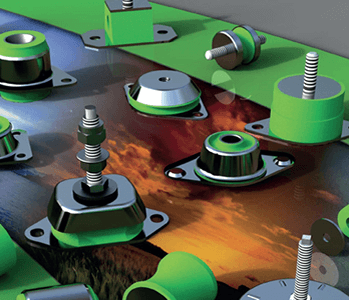 This allows the mounts to support higher loads than the VBL/DBL range, and also enables it to absorb huge impulsive charges under full power, whilst maintaining the necessary levels of deﬂection and insulation for effective operation. 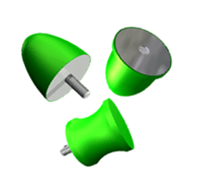 This range of Mounts can accommodate loads between 45daN (approx.46kg) to 3,150daN's (approx. 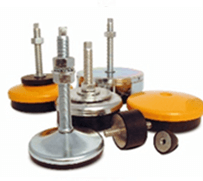 3,212kg) per Mount.